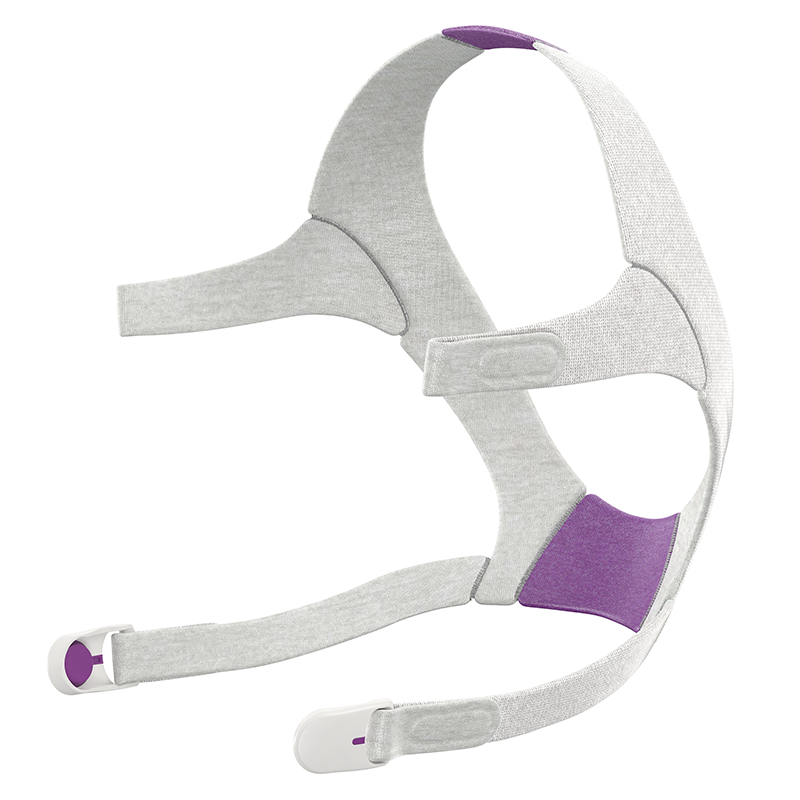 Replacement headgear for AirFit N20 for Her CPAP Mask. Plush headgear is specifically designed for extra softness and stability. Click here for the AirFit N20 for Her without Headgear. Replacement for the "For Her" version of the N20. Headgear with purple accents only available in size SMALL.